According to a new report circulating on the Internet, full disclosure about UFOs is at hand. On November 27, 2009, President Barack Obama will tell the world all that the United States knows about UFOs. Many believe that this means he will tell the world that alien spacecraft have been visiting Earth for decades, if not centuries or longer. Because such rumors have been reported before. Many times before. Although such a possible disclosure might have been announced earlier, it seems that one of the first, if not first rumors about disclosure came with the release, in 1951, of The Day the Earth Stood Still (please note here I’m referring to the 1951 classic and not the recent remake). The idea was that the movie was the first step in telling the public about flying saucers. It presented a benevolent space traveler here to warn us about our warlike ways. Of course there was no disclosure. Another suggested attempt was the Air Force sponsored scientific study of UFOs at the University of Colorado, also known as the Condon Committee. Some speculated that full disclosure would come at the end of the study. 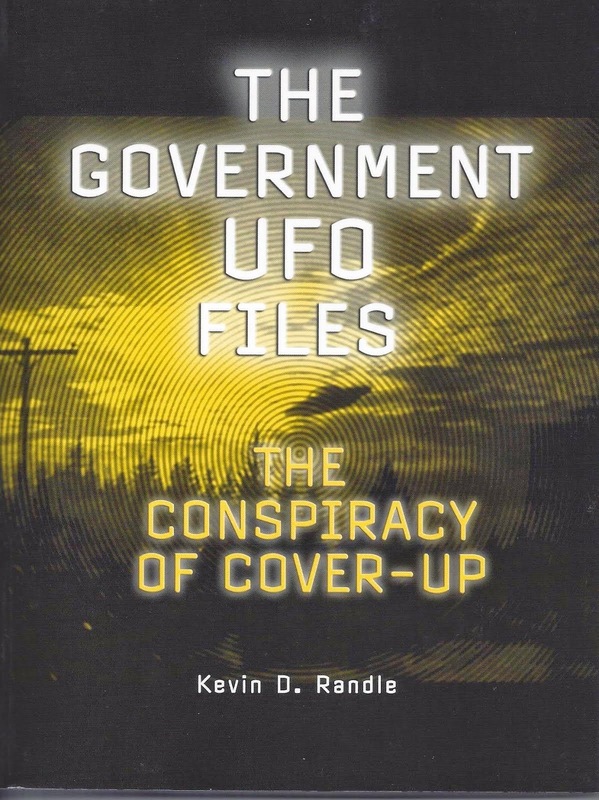 Those poor, misguided people didn’t know that the whole thing was a set up with a goal of getting the Air Force out of the UFO investigation business. At the end, there was no disclosure, just the closure of the Air Force project to investigate them. There was another supposed event, this one apparently coordinated around the country with UFO researchers told to be available to the local media to answer questions about the alien visitors. But a history of false rumors (can there be a true rumor?) doesn’t mean this latest attempt will be the same as all those others. According to Dave Wilcox, he heard from Bill Ryan of Project Camelot that this would happen on November 27. But he cautioned that too much advance publicity would kill the announcement. In other words, the prediction that there will be disclosure has been superceded by another prediction about why it won’t happen. Now, when November 27 passes without a word from the White House or the President, all those who claimed there would be disclosure can tell us that all our talking about it scuttled the announcement. It’s our fault for mentioning any of this in a public place. Nothing like being able to have it both ways. There will be no announcement on November 27. I don’t know how these rumors get started, but once they do, many jump on the bandwagon. In the end, it just makes everyone look silly because we’re all lumped together with no gradations in what we accept as true and what we know to be false. When November 27 comes and passes without the announcement, remember, I told you so about a month earlier. In the ongoing saga of whether or not astronomers, amateur and professional, see and report UFOs, I have the following, sent to me by Chris Rutkowski and reported to MUFON in Colorado. On the evening of 10-17-09 myself and four other club members were at our astronomy clubs observatory (35.8308 96.14518) for a clear night of observing. With many years of experience in observing under our belts we were needless to say quite qualified to identify most anything that we would see. Between approximately 6:40 - 7:00 P.M. one of the members noticed something off in the west and queried as to what it may happen to be. First and foremost it was bright, more or less as bright as Jupiter, yet setting about ten to twelve degrees above the horizon, due west. At our first sighting most of us thought that it was nothing more than an airliner reflecting sunlight from the setting sun but that determination was tossed aside shortly there after. If it had been what we first thought it was it would’ve lost its size and brightness fairly quick as it shifted positions in relation to the sun while in flight. But, it continued to maintain its position, did not move in any direction - vertically, horizontally. If by some chance it were a celestial body it would follow a gradual celestial track that all of us would have noticed in a few minutes. Again, it didn’t move, remained in one position, which eliminated the possibility of it being a celestial body that none of us were unlikely familiar with. That alone became puzzling since the obvious - Venus, Mercury - are now tracking in the morning eastern sky, not the evening western sky. With that we continued to watch it as one of the guys used his 10x50 binoculars to get a better view. What was seen initially brought to mind that it may perhaps be a high altitude research balloon but the more we watched it and as it maintained its position that thought was tossed quickly also. From the beginning it remained in one position, never moved. Balloons, of any type, will not remain in one specific position be they weather balloons, high altitude research balloons or otherwise. But as we watched it more closely it was very surprising as to the manner in which it morphed into various shapes and sizes. Its brightness would vary some but that was easily seen as being caused by the low-lying clouds on the horizon. As we commonly call it - it was - sitting in the soup. When they would move in front of it the objects brightness would dim some. Otherwise it would maintain its brightness. That was easily seen via binocular observations. The longer we watched it the more curious we all became and with that growing curiosity we quickly set two telescopes onto it. Two different sized telescopes were used, one, Celestron 11- Schimdt-Cassegrain telescope and a smaller Orion 4.5 - dobsonian telescope. Between the two we could pull it in for a much closer look in a very inquisitive effort to determine just what it actually was. Charts and web sites were checked also to make sure we weren’t simply forgetting perhaps one event that may explain what we were now seeing. Nothing could befound. The Celestron was using a 40mm eyepiece for a much wider field of view whereas the smaller Orion had a 15mm eyepiece to pull it in much closer. Through the Orion one could easily see what appeared right off as a bell shape. The same was viewed in the other also. But as mentioned before it morphed into what was clearly seen and could be interpreted as the same basic outline of the Shuttle that anyone would see as it flies over. Again, the same basic shape as to what you would see looking up at the bottom of it. That distinctive shape was easily recognized. At the rear of it you could see what looked like bluish green waves that would both come and go from the main rear line of the object. Nowhere else was this color and wave seen, just at the rear. The objects color was a combination of the just mentioned bluish green at the rear to a lighter orange yellow up through the main body and then into red orange, much more intense, than any of the other colors at the top or perhaps, from appearance at that time, leading edge. None of us had ever seen a color distribution of this sort before. Especially on either the Shuttle or any other normal day-to-day satellites. I will make a couple of points here. These were astronomers, familiar with the sky and what would be in it. They reported something more than just a blob of light, they observed it through telescopes and binoculars, and they watched it disappear by flying away rather than just fading out. It seems they saw some sort of manufactured craft that resembled the space shuttle but clearly was not. This then, would be a report of a UFO by astronomers. The Roswell UFO crash story has seemed to have spawned another fake document. This one, supposed to have come from the CIA, comes to me via England, which always raises my suspicions. Why would a classified, American document find its way to British hands first? But even if one did, this particular one didn’t. It isn’t real. ...Another rule of secrecy was: You always camouflage your operations from prying eyes. 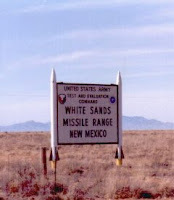 It was not widely known to many that the Air Force and Navy were conducting classified rocket-launched reconnaissance payloads from White Sands, New Mexico, which failed to reach orbiting altitudes and subsequently crashed off range and generated considerable public interest in the United States and abroad. As part of a top secret Air Force atomic weapons detection project called MOGUL involving radiation dispersal in the atmosphere, selected monitoring sites across the United States were not acknowledged to by the Air Force and Central Intelligence Group (CIG) and as a result, wreckage from one of the payloads was accidentally discovered by a sheep rancher not far from the Air Force’s Roswell Army Air Field. Also, another fact not widely known among military intelligence was that CIG had planned to utilize artificial meteor strikes as decoy devices ejected from V-2 warheads at 60 miles above the earth to record dispersal trajectories and possible psychological warfare weapons against the Soviets in the advent of a war in Europe. One of the projects underway at that time incorporated re-entry vehicles containing radium and other radioactive materials combined with biological warfare agents developed by I.G. Farben for use against allied assault forces in Normandy in 1944. When a V-2 warhead impacted near the town of Corona, New Mexico, on July 4, 1947, the warhead did not explode and it and the deadly cargo lay exposed to the elements which forced the Armed Forces Special Weapons Project to close off the crash site and a cover story was immediately put out that what was discovered was the remains of a radar tracking target suspended by balloons. 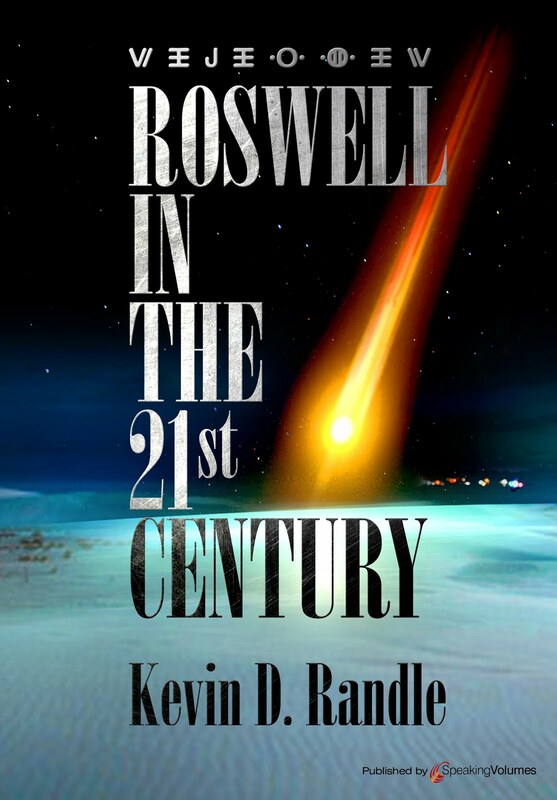 In 1994 and again in 1995, the Air Force published what it considered the true account of what lay behind the Roswell story but omitted the radiological warhead data for obvious reasons. It may also be pointed out here that this kind of experiment was very similar to those conducted by the Atomic Energy Commission and the military in the late 1940’s. It was known in the CIA that the Soviets were conducting the same kind of radiological and biological warfare experiments in the early 1950’s after their successful detonation of a [sic] atomic bomb based on stolen documents and materials from Los Alamos forwarded to Moscow by communist espionage agents in the United States. I suppose I should point out that in 1947, no one was thinking in terms of placing any sort of payload into orbit using the V-2. All the missions would be considered "sub-orbital" though many of them failed long before even that term could be applied. And for those who have forgotten their history, the Soviets first put a payload into orbit in late 1957, or ten years after the Roswell crash, whatever it might have been. The real problem with this new document is the claim that "When a V-2 warhead impacted near the town of Corona, New Mexico, on July 4, 1947, the warhead did not explode and it and the deadly cargo lay exposed to the elements which forced the Armed Forces Special Weapons Project to close off the crash site..."
No record of this flight can be found. Back in the early 1990s, I researched all this carefully. I went to Alamogordo, to the Space Museum there and learned that something about the various flights out of White Sands. And, I went to White Sands to talk to the people there. I have a copy of White Sands History which "...narrates the development and testing of rockets and missiles at White Sands Missile Range, New Mexico, during the years 1945 through 1955." It contains a record of every launch and according the documentation, no launch information is missing. All launches are accounted for. Here’s what I know. On July 3, there was an attempted launch. 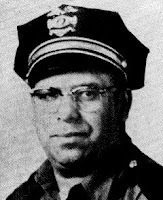 According to the Albuquerque Journal of July 4, 1947, "Two men were burned seriously by acid and six others suffered minor bur ns early tonight as they prepared for the launching of a German V-2 rocket... A statement from Lt. Col. Harold Turner, proving grounds commandant, said an investigation has been ordered. Launching of the rocket, 25th to be fired in a series of experiments here, was postponed indefinitely." That would certainly suggest there was no July 4 launch to fall to the ground near Corona. But the listings of all rockets in July 1947 suggest it was well. According to the White Sands History, a WAC Corporal E was launched on July 17 (much too late to drop material near Corona) with a note that said, "Small thrust developed and missile rose and impacted near launchers... main air regulator at fault." For the V-2,(seen here, photo by Randle) there was a launch on July 10 and it was noted, "Set yaw angle caused faulty course." and for a second launch on July 29, the note said, "Steering vane 4 failed to operated at 27 secs – Success." There is nothing in the record to suggest there were any launches not mentioned in the history and all launches have been accounted for. There was nothing on July 4, 1947, and for all these reasons, I believe the document to be a fake. Sad news today. Mac Tonnies, known to many in the UFO field, has died. Details are few, other than he was found in his Kansas City apartment, dead from natural causes. Foul play is not suspected. I knew Mac only from emails, book reviews and his blog, Posthuman Blues.blogspot.com which is to say that I didn't know him all that well. He seemed to be a fine young man, had a quick mind, was interested in many things, and was a reasonable sort. In the world of the UFO, it is rare to find someone who is reasonable. I enjoyed my correspondence with him, liked his blog and respected his ideas. A fitting tribute might be to take a look at his blog. Mac was only 34 and is gone much too soon. In reviewing what UFO expert Barry Greenwood had written about the Ramey Memo I thought about my interaction with J. Bond Johnson, the man who had taken the photographs. It started cordially enough with two long telephone conversations and ended with two more that were somewhat acrimonious. All this came about because Johnson started talking to others and realized that what he originally said and originally believed was in conflict with the spotlight he wanted to draw to himself. To keep that spotlight tightly focused on himself, he had to say things about me and about his interactions with General Ramey that he had to know were not true. As I h ave explained in the past, I learned about Johnson by accident. I was attempting to find an original copy of the picture of Warrant Officer (later major) Irving Newton that had been taken in Ramey’s office on July 8, 1947. According to that old Look magazine special on Flying Saucers, the picture was held by the Bettmann Photo Archives. They sent me two black and white Xerox copies of the photographs they held which told me that the pictures had been transmitted by INP Soundphoto at 11:59 p.m. Central Standard Time and had been taken by J. Bond Johnson (seen here with cutline seen below). This, of course, confirms Johnson’s presence and some of his testimony in the case. I learned that Johnson had worked at the Fort Worth Star-Telegram and that the negatives should be there. Of course, they weren’t and I was directed to the University of Texas at Arlington and to their Special Collections library. And that is where I found additional pictures. None of Newton, by the way, but others of Major Jesse Marcel, Sr., Brigadier General Roger Ramey and Colonel Thomas J. DuBose. The woman who worked there at the time, which was 1989, was Betsy Hudon and she mentioned that she had been talked with a fellow who claimed to be the photographer. Given my cynical nature, I wasn’t sure I believed that, but thought I should check it out and asked who that was. She refused to give me the name, believing that it would violate his privacy. She had no problem, however, sending along a letter to him from me as a way of introducing me to him. Then, if he was interested, he could call me. As a courtesy, she sent me a copy of the letter she had enclosed with mine, and on it was the name and address of the photographer. So, I knew who it was though I’m sure her mistake was unintentional. In a few days I received a telephone call from J. Bond Johnson and in a taped interview, he told me what happened in General Ramey’s office. Of course I asked him if he minded if I recorded the call and he said he did not. As a note, on the second call to him, I asked him on tape if he minded and again he said that he did not. Later he would claim that I had called him cold and that I had not said anything about recording the conversations. I will note here that I didn’t call him cold because he had received a letter from me so he knew my interest and I got his telephone number from him. He knew something about the events because he had been tracking the pictures, and he had a copy of the article that appeared on July 9 in an early edition of the Star-Telegram. He called me so that we could talk about this aspect of the Roswell case. Given the nature of the following events, I believe that the first and second interviews with Johnson are the closest to the truth. I believe this because the facts, as established through other sources including newspaper articles including one that Johnson originally claimed he wrote, and with interviews with others who were in Ramey’s office corroborate these facts. Later, as Johnson moved into his fantasy world, his comments were completely contradicted by all the other evidence. In fact, his comments were contradicted by other comments he made, sometimes in the same conversation. I began this first interview by asking, " You took the pictures of Marcel and the guys with the wreckage?" J. Bond Johnson (JBJ): I took the picture with Gen. Ramey and the wreckage. Gen. Ramey was the commander of the 20th Air Force at that time. Or maybe not the 20th, maybe the 15th. KDR: I think it was actually the 8th Air Force at that time. KDR: I found that out as well. JBJ: They, interestingly, they could not find the negatives that I had taken. They had disappeared which is kind of interesting. [Actually, some of the negatives are on file at the library.] But of course I got copies from the paper. It ran in both the morning and afternoon editions. KDR: That was the Star-Telegram. KDR: Marcel is ordered off Roswell and they load the material into a B-29 and flew it to Fort Worth for Ramey to look at. JBJ: That's when I got into it because the AP picked up that they were flying it down there. And I walked into the Star-Telegram. I was primarily a reporter but I had a camera, Speed-Graphic, that I carried in my car. I worked night police. I was a back-up photographer. The city editor came over and said, 'Bond, you got your camera?" And I said yes and he said, "Get out to General Ramey's office. They've got a flying saucer and they're bringing it from Roswell." And they were flying it down there. KDR: I think what happened was that they realized what they had. They realized that it was something extremely unusual. That it really was an alien spacecraft. Then Ramey comes up with this weather-balloon nonsense. KDR: The intelligence officer should have known that. KDR: So you've been through the files at Arlington? JBJ: No, no. I'm just talking to the same girl. JBJ: She sent me the list for all Ramey's photographs at the Star-Telegram. At first I didn't know how to identify them. She sent a list of all the Ramey pictures but mine was not included. conference and taken the other pictures of Marcel? JBJ: Never heard of that. They ran in the Star-Telegram? JBJ: I didn't know about that at the time and I can't imagine that I wouldn't have. KDR: There's a picture of him holding the wreckage. There's a picture of Marcel. JBJ: You're sure that's not Ramey. KDR: No, it's Marcel. It's Marcel holding the wreckage. JBJ: When I went there, there was no press conference. I just went out and Ramey was there and the stuff was scattered . . . spread out on the floor in his office. He had a big office as most of them do. And he went over and I posed him looking at it, squatting down, holding the stuff. JBJ: That's the one I took. Of Ramey. KDR: Did you only take one picture? KDR: So you used all your film. KDR: Your big chance for fame and you blew it. JBJ: Exactly. But it was not an exciting thing. It was just a bunch of garbage anyway. KDR: That's what it says. I had Betsy [Hudon of UTA] looking for the pictures as well. She's sending me the list too. I figure someone is going to go to Fort Worth to look through them to find out if the stuff is really missing. I have seen- I've got one picture and it's a very bad copy of Marcel holding the wreckage. I've seen pictures of Ramey with the stuff . Look magazine did something in 1966 and talked about this; it showed Ramey [actually it was Newton] holding the stuff. JBJ: lt might be my picture. He was squatting down and looking at it. It was on the floor in his office. There were no other reporters there. I went in and I don't remember. I think there was some aide there. KDR: His aide was there? A little explanation might be necessary here. At this point in the investigation, I am unsure of the sequence of events, unsure of who really knew what, and unsure of what Johnson really knows. Later, as I continued the research, I would sort all this out. I would learn about the number of pictures taken, who took them, with the exception of the one picture of Newton, and have a better idea about the exact timing of events based on newspaper articles that provided a time sequence. In this interview, I’m still trying to sort things out so some of the questions seem to be redundant or simple but they eventually lead to the proper conclusions. And note here that Johnson has suggested that Ramey’s aide was in the office. What I didn’t know then, and don’t know now, is if Johnson meant Captain Roy Showalter, who in 1947, was Ramey’s aide, or Colonel DuBose who some believed was Ramey’s aide but who was, in fact, the Eighth Air Force Chief of Staff. Johnson seems to indicate here that there was only one other person in the office, but we know, based on the photographic evidence that Marcel was also there. This means that the lack of mention about Showalter specifically isn’t of great consequence one way or the other. Johnson told me, "Okay. And that's all I think were there. I took the two [do I need to point out, again, that this number is incorrect?] pictures and then they said- but that time they said, oh we've found out what it is and you know, it's a weather balloon and so forth. No big deal. I didn't press it. I accepted that. I was rather naive. I accepted it." JBJ: I had no reason to come on then and say, 'oh, you've got to be lying." KDR: Why couldn't your intelligence officer identify this? JBJ: See, I was not pressing him. KDR: And you don't know of any other photographs taken at the Star-Telegram of Marcel when he first got there or anything like that? JBJ: I never have heard that mentioned. JBJ: The Fort Worth Press was the only other one. gone out to . . .
KDR: The Dallas paper did. JBJ: No, the AP did. Then we put it right on the air from there. Because we were late . . . it was late in the afternoon. On the east coast it would have been deadline time. And that's why they wanted it . . . for the New York papers and all. That's why they were rushing me. This is towards the end of the day. At this point, I haven’t figured out that Johnson took two pictures of Marcel, which were then cropped so that it didn’t look like the rawin target. When you see the whole picture, it’s quite clear what it shows. When Marcel looked at those pictures decades later, in the company of TV reporter Johnny Mann, Marcel said that wasn’t the stuff he had taken to Fort Worth. Those were of a weather balloon... but this is a discussion for another time. JBJ: I don't know who that would have been. Let me look at my UFO file. I have Ramey squatting down. That's July 10 and then there's a consolidated news story right by it from news dispatches. ‘Fireballs Dim Disc over Texas.’ And then I have the other one. On Sunday, July 6, the front page of the Star-Telegram: "Sky Mystery Mounts as More Flying Discs Are Sighted All over the Country." It mentions Texas and New Mexico and Washington and Oregon. But it does say New Mexico in that article. And then on July 7, Monday, on the front page again, 'Flying Discs Cavort All over U.S. as Mystery Continues to Mount." Seven-nine [July 9] is my story [emphasis added] on the front page that was in earlier that day. That's when they debunked it. Oh, [paraphrasing] object found at Roswell was stripped of is glamour as flying disc by a Fort Worth Army Air Field weather officer late Tuesday . . . identified as a weather balloon. Warrant Officer Irving Newton from Medford, Wisconsin, weather forecaster at the base, said the object was a raywind target used to determine the direction of wind at high altitudes. Hurried home and dug up the remnants and so forth. It had been found three weeks previously by a New Mexican rancher, W. W. Brazel on his property 85 miles northwest of Roswell and thirty miles from the nearest telephone. He had no radio and so forth. We finished the interview with some discussion about other crashes that have been reported, for example those at Del Rio, Texas, and Kingman, Arizona. Johnson then asked if I could send him some material and I agreed to put something together for him. Naturally there were additional questions to be asked. On March 24, 1989, I called Johnson again in an attempt to clarify some of the questions bouncing around. At the beginning of the call, and on tape, you hear me ask if he objects to my recording the conversation and he says, "No." I then ask for a narration, from start to finish, of what he remembered about the trip out to Ramey’s office and what took place inside. JBJ: Okay. My name is initial J. Bond; it's also James Bond Johnson. I'm the original. I was a reporter and backup photographer for the Fort Worth Star-Telegram in July of 1947 after having served in the Air Corps as a pilot-cadet in World War II. On Tuesday, July 8, 1947,late in the afternoon, I returned from an assignment to my office in the city room of the Fort Worth Star-Telegram, which was both a morning and afternoon newspaper. My city editor of the morning paper ran over and said, "Bond, have you got your camera?" I said yes, I had it in my car. I had a four by-five Speed Graphic that I had bought recently and I kept it in the car because I was working nights and police and so forth and had it at the ready. He said go out to Gen. Ramey's office and . . . He said they've got something there and to get a picture. I don't now recall what he called it. He said they've flown something down. . . I don't think he called it something . . . he gave it a name because I was kind of prepared for what I was going to see. He said something crashed out there or whatever and they're -- we just got an alert on the AP wire . . . though it might have been the UPI [He means the United Press; the UPI wasn't formed until 1958.] . . . that the Air Force or the Air Corps as it was called then is flying it down from Roswell on orders from Gen. Ramey. It would be located in his office. It was or would be by the time I got out there. So I drove directly to Carswell and my recollections are now I went in and I opened my carrying case with my Graphic and I had brought just one holder with me with two pieces of the four-by-five film. [In an interview on December 23, 1990, Johnson told us he had two holders and four pieces of film.] Black and white of course. I posed Gen. Ramey with this debris piled in the middle of his rather large and plush office. It seemed incongruous to have this smelly garbage piled up on the floor . . . spread out on the floor of this rather plush, big office that was probably, oh, 16 by 20 at least. I posed Gen. Ramey with this debris. At that time I was briefed on the idea that it was not a flying disc as first reported but in fact was a weather balloon that had crashed. [Emphasis added.] I returned to my office. I was met by a barrage of people that were unknown to me. These were people who had come over from Dallas. In those days, any time we had – we normally bused any prints that we were sending to the AP, we bused them to Dallas to be transmitted on the wire photo machines. We had a receiver but not a sender in Fort Worth in those days. And no faxes. So Cullum Greene, who was my city editor, said "Bond, give us a wet print," which was not unusual. I normally operated on a very short time span at night or whatever . . . on an accident or a murder or whatever which I usually wound up taking pictures of. And, ah, he said, "Give us a wet print." So I went in. They had brought up a portable wire photo transmitter and had it set up there in the newsroom. There was some assorted people around there. JBJ: No, these were technicians that had come over in the time that it had taken me to drive out to Carswell and interview Gen. Ramey, get briefed and come back to the office. They had come from Dallas and set up this wire photo machine. They were people I did not know. They were AP personnel. KDR: Did you talk to Gen. Ramey very long? So now I have a narrative with no interruptions by me. Just Johnson telling his story from the top, explaining that it was really no big deal because Ramey knew it was a balloon. He has told me that he wrote the article that appeared in the July 9 newspaper and by one count of the whole transcript, he has repeated this seven times. On August 4, after a couple of letters, I again spoke with Johnson for 28 minutes. Unfortunately, the tape malfunctioned so that all I have of that conversation are the notes I took. I simply wanted to go over some of the things again and check the exact sequence. I wasn’t concerned. All the information, with one minor exception, was on the other tapes. Johnson said that it was late in the afternoon when he went to Ramey's office. He mentioned that he was mildly surprised that they were ready for him when he arrived. The front gate had been told he would be coming and there was a pass waiting there [He would later claim that this couldn’t be true because he was a member of the Civil Air Patrol and he had one of their stickers on his car so he had access to the base]. He was sent to Ramey's office and shown the weather balloon. He said that it smelled of burned rubber and wondered why it was so important that they would bring it up to the general's office. Johnson said that it took him about 30 minutes to get to Ramey’s office after he had been alerted. They had received a teletype (flash) message that the material was on its way to Ramey. When he got there, the balloon was spread out on the floor, filling up one part of the room. He took his photos of it, spoke with the general, and then left. Please note here that he said they had received a teletype message that the material was on the way to Ramey’s office and when he arrived the weather balloons were spread out on the floor. This will become important as we continue this long examination of the J. Bond Johnson episode. But then the world shifted and Bill Moore and Jaime Shandera learned of J. Bond Johnson who they described as their new star witness. They interviewed him a number of times and now the story is different. Now, according to this version, Ramey didn’t know what it was in his office. Now Johnson believes that some of the real debris is mixed in with the balloon and rawin target debris. And now, Johnson was telling all who will listen that I have misquoted him. In an article published in June 1990 issue of Focus, a newsletter created by Moore, Johnson saw the city editor, about 4 in the afternoon and was ordered out to the Fort Worth Army Air Field, later renamed Carswell. He said that it took him about twenty minutes to get there and since he was an officer in the CAP he only had to show his press pass to enter. He still stopped at the gate and he confirmed that he had to pick up his press pass there. He went to Ramey’s office, which was different than his normal routine, and saw, in the middle of the room, the debris. He told Moore that there was an acrid odor of burned rubber. According to this version, Johnson asked Ramey what it was only to be told that Ramey didn’t know what the hell it was. He claimed to Moore and Shandera he hadn’t seen Marcel and because of that, the cover story was not in place at that time. Because of that, Johnson rushed back to the newspaper with his photographs. Now Moore and Shandera claim that this new Johnson story, that is in conflict with what he had told me, "...holds up and sheds new light on the events. 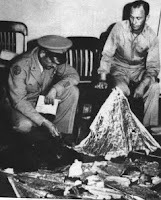 The photographs show the actual debris from the flying disc from Roswell." These conflicts aren’t over minor points in the story, but in significant details and changes nearly everything. Johnson had gone from a straightforward account to one that made him one of the few who had seen real debris. Not only that, he had photographed it and these, with a single exception, were the only photographs of that debris. In fact, Johnson would later claim that there were no other pictures of this. Only the six that he had taken. He denied that the photograph of Irving Newton showed the real stuff and that this photograph was unimportant and had not been published in newspapers of the time. So I called Johnson because I had the tapes of our conversations and I knew what he had said then. And, I knew what he was claiming in his new story. I was interested in getting his reaction to these things. So I asked him about his quotes to me that Ramey had told him it was a weather balloon. Johnson asked, "Why would Ramey have told me he didn't know what it was?" KDR: I have no idea. JBJ: It was kind of like- I don't recall the words, but when I went back they asked me, "What did he say it was?" He [Ramey] didn't have any idea. KDR: In the story you wrote you said it was a weather balloon. KDR: They did this because the debris had been quoted as being torn up and wrecked. They ripped the thing apart when they brought it into Ramey's office so it grossly resembled the debris they had at Roswell. JBJ: I remember that after I got out of the darkroom they had several messages to call people. That's what took up my time. I didn't even write an article then. But it was shortly after that that they received this cover story. KDR: The cover story went out right away. JBJ: They did not have it when I got back until after I had developed the pictures because then there would have been no urgency. I will note here that the times lines developed using newspapers and other documentation from that period prove that the cover story was in place before Johnson returned to the newspaper office, and probably was in place before he left to drive to the base. Johnson is just flat wrong about this. KDR: What you'd said to me was, "These were people who had come over from Dallas. In those days, any time we had . . . we normally bused any prints that we were sending to the AP, we bused them to Dallas to be transmitted on the wire photo machine. We had a receiver but not a sender in Fort Worth in those days. And no faxes." JBJ: I would not have said bus unless that was just a slip of the tongue. KDR: That may well be. Then it talked about they had come from Dallas and they set up the portable. JBJ: Yes, they had come from Dallas. These were the technicians. These were people I didn't know. They were pushing me. With that we discussed the genesis of the term flying saucer and some of the technology available during the late l94os. Johnson mentioned that the Star-Telegram did a morning radio program from the news room where the late-breaking stories were read for the listeners. But then we returned to the discussion of the factual errors that Johnson now claimed had crept into our article. JBJ: That was [a] factual error that Ramey, you said in here [IUR], that Ramey told me that it was a weather balloon. KDR: That's what you told me. JBJ: Okay. He didn't know because I remember asking him and he shrugged and he said, kinda like, "How the hell should I know?" KDR: You told me originally that Ramey told you it was a weather balloon. JBJ: Well, I wouldn't have because even when we got back to the office and I know he didn't say that. The facts of the other people. They were very excited and anxious to get that and get it on the air and they were, ah, to get it transmitted. That's why I had to rush it out so quickly, to give them a wet print and, ah, they were on the deadline of the East Coast with the – it was late in the day and they're three hours later [sic]. This is what I remember talking about, and they had an East Coast deadline. But they didn't at that time know, there had been no cover story. That came some time later before I left the office. I think I normally left there about seven or seven-thirty unless I went to a dinner meeting to cover that or something. Okay, because Ramey, whatever, when he explained about the weather balloon, came along after. JBJ: Okay. Well. I don't know. I didn't make a recording of it. I'd like to hear it. Ah, but, that wouldn't have figured. I wouldn't have said that. KDR: That's exactly what you said to me. But Johnson wasn’t finished with his additions to his story. He was invited to speak to various groups and to various venues and in each of these he had something new to add. Most of the time the details were refuted by facts such as newspaper articles or other documentation. Sometimes, however, these changes raise interesting questions. And that leads to the point about what this has to do with the Ramey memo. To fully understand, it was necessary to review much of this history. Now we get to the meat of the story. office, I learned that the general was out but expected to return momentarily. While Colonel DuBose went out to look for the general, I was left alone in the general's rather spacious office. This gave me an opportunity to further unpack and to "pose" some of the pieces of wreckage. I well recall how frustrated I was at the burned and smelly debris and how little opportunity this would permit for a good news photograph. When the General entered the room I handed him the "flash" announcement printed from the news wires. He read it with interest. I then took a couple of shots of him, still wearing his hat in his office, examining the debris with the "flash" announcement held in his hand. So now we have Johnson suggesting that he had taken the "flash" message out to Ramey’s office with him. We don’t need to infer it from other statements he made, but have those exact words. I suppose I should point out that while Johnson was photographing the debris and Ramey, he asked Ramey what it was and again claims that Ramey said he didn’t know. He then asked DuBose to join Ramey and took two more pictures. Finally, he photographed Marcel with the stuff, so we now have a sequence in which the pictures were taken. Ramey first, then Ramey and DuBose and finally Marcel. The picture of Newton would come much later and was taken by someone else. And, finally, the real point. If Johnson handed the "flash" message to Ramey, then we know the source of the Ramey Memo and it is not the military. We know that it would contain the information that was on the news wires about the crash, which means it would mention Roswell and Fort Worth and we can see, easily, that the words weather balloons, though misspelled are on the paper. With this story, nothing is ever easy. Johnson claimed here that he had unwrapped some of the packages when he was left alone in Ramey’s office. If this is true, then we can deduce from this that no there was no classified material left unguarded in that office and what was on the floor was a weather balloon. But what do we really know about all this? Johnson did go out to the base and he did take photographs. The ones I found at Bettmann Photo Archives clearly credit the photograph to J. Bond Johnson. Johnson told me that he had written the article that appeared in the July 9 editions of the Star-Telegram, the last line of which said, "After he took a first look, Ramey declared all it was was a weather balloon." This, of course, refutes Johnson’s later claims that Ramey said he didn’t know what it was. Timing is everything and we have lots of documents that provide timing. One newspaper even provided a timeline of the events beginning with the 2:26 (MST) message that a flying saucer had been captured. This means, of course, that the message arrived in Fort Worth at 3:26 pm (CST). Within an hour, or about 4:20 according to the San Francisco Examiner, Ramey was already calling it a weather balloon and radar reflector. Please note that it was early on, at 4:20 p.m. in Fort Worth that Ramey was claiming it was a weather balloon. If we retreat slightly on the timeline, and project into it, we can speculate that Johnson was handed the story about 3:30. He said at one point it took about 30 minutes to get to the base and in another story it took about 20 minutes. It is doubtful that he would have arrived at Ramey’s office much before 4:30, and if that it true, then we know that Ramey had already released the weather balloon story to someone else. Sure, he could have arrived a little earlier, but we know that Ramey was pumping out the weather balloon story early. There is another point here and it explains why Johnson repudiated taking Marcel’s picture. 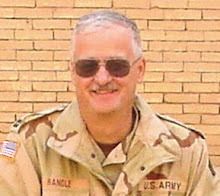 Given the timing of the flight from Roswell to Fort Worth, not to mention the timing of getting from the flightline to Ramey’s office, Marcel couldn’t have arrived much before 5:30, though he could have gotten there closer to five. At any rate, he was there at some point while Johnson was still there, and if that is true, then Ramey had released the weather balloon story already and wouldn’t have told Johnson that he didn’t know what it was. Johnson’s new tale is now discredited. There is a story in the Dallas Morning News that says their reporter had talked to Major E. M. Kirton, an intelligence officer at the Eighth Air Force Headquarters, and was told that what had been found was a weather balloon. The interview took place at 5:30 p.m. which means that while Kirton is being interviewed by the Dallas newspaper, Johnson is either still in Ramey’s office or has just left. Just after 6:00 p.m., Irving Newton receives a telephone call to get over to Ramey’s office immediately. If he doesn’t have a car, he’s to steal one. He arrived shortly after that and immediately identified the material on the floor as the debris from a rawin target. He told me that he had launched hundreds of them during the invasion of Okinawa during the Second World War. Since Johnson didn’t see him, Johnson had to be gone by this point. The picture of Newton (seen here), with the debris, s howed that it had been moved very little from the time the other pictures were taken. In other words, the debris in the pictures taken by Johnson is in virtually the same place as that in the picture taken of Newton. Where does that leave us? Well, I can say that I have everything Johnson told me on tape with one exception but it is clear that in the beginning he was saying that Ramey told him it was a weather balloon. His photographs verify this claim. It was a weather balloon. He told me, at least seven times, that he had written the July 9 article in which he wrote that Ramey said it was a weather balloon. This is the story that appeared in an early edition. In a later edition, the story had been expanded by other reporters and later information. Although we must speculate about some items in the timeline, we have others that have fixed times based on documentation. We can say the story began at 3:26 p.m. in Fort Worth and we can say that Johnson would have arrived at Ramey’s office, probably, within the hour. Marcel was ordered to Fort Worth in the afternoon and must have been there around 5:00 p.m. for Johnson to take pictures of him. That means that Ramey already had the cover story in place and had been telling other reporters in other locations that it was a weather balloon for about an hour. Johnson would have left Ramey’s office prior to 6:00 p.m. because he didn’t see Newton, and would have been back to the office no later than 6:30 p.m. or 7:00 p.m. And finally, we know that his picture was transmitted over the wire at 11:59 p.m. because we have the documentation from Bettmann, though Johnson, Moore and Shandera, for some reason insist that the picture was transmitted at 7:59 p.m. Which brings me back to the Ramey Memo. Johnson said he brought the flash message with him. He said that he handed it to Ramey and that is the document that Ramey was holding when the pictures were taken. Johnson later said that this wasn’t true. He said that he had picked up a document from Ramey’s desk and handed it to him so that he would have something in his hand. Some have speculated that Ramey entered his office with the document in his hand and didn’t set it down. Of the three scenarios, the most likely is that Johnson brought in and handed it to Ramey and then posed him for the pictures. Second best is that Ramey had it with him when he entered the room and just didn’t set it down. That would mean that it was a military document that probably related to the Roswell events. That it relates to Roswell is borne out by the words that can easily be read. There is no other conclusion to be drawn here. Least likely is that this was something on Ramey’s desk that Johnson snagged and handed it to the general. This then, is a long look at the history around the Ramey memo and what we know about the man who took can the picture. It is clear that Johnson changed his story repeatedly in an attempt to keep himself in the spotlight. He blamed me for misquoting him but was never able to offer any evidence this was true. Instead he ignored the tapes and transcripts I sent him, suggesting that I had somehow altered the tapes in an editing process. Very little of the story he told to everyone else can be trusted. The parts that we can verify through other sources can be trusted. Nearly everything he said is open to speculation. You would have thought with a living witness to this aspect of the case, we’d have a better understanding of what happened in Ramey’s office. Instead we’re left with confused, contradictory claims by Johnson, and very few facts. Such is UFO research. Let’s see if I have this right. 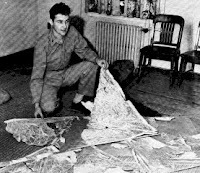 The solution to the Lonnie Zamora UFO landing of April 1964, according to a big story posted at http://www.ufocon.com/ and written by Tony Bragalia is hoax. And this is startling news because...? Reading over the posting by Bragalia I wondered why Dr. Stirling Colgate at time president of New Mexico Institute of Mining and Technology, if he knew this to be a hoax back in the 1960s, had not let Dr. J. Allen Hynek (seen here) in on it. Hynek, at the time, was the Air Force consultant to Project Blue Book and investigated the case in person and on the scene not long after it happened. It would seem to me that if Colgate had the answer, he could have let Hynek know without violating any confidences about those who had perpetrated the hoax and saved Socorro some public embarrassment. When I pressed one man for an explanation, he urged me to "nose around a bit." When I sought clarification, he pointed out that except for the Institute of Mining and Technology, Socorro had no industry, and some citizens feared the town was "going to seed." The property where the UFO reportedly landed had, prior to the incident, been next to worthless "scrub land." But now, if the site became a long-lived tourist attraction, there could be need for refreshment stands, perhaps even a motel for those who might like to spent the night near the spot where an extraterrestrial spaceship had seemingly landed. By a curious coincidence, the property where the UFO reportedly landed was owned by Mayor Bursum, officer Zamora’s boss! The mayor’s principal business? He is the town banker and as such would not be unhappy to see an influx of tourist dollars. So, apparently to Klass’ way of thinking, Zamora and the mayor cooked up the UFO landing as a way of generating tourism in Socorro and dragging those tourists to a spot owned by the mayor. We all know how well that has worked out more than a quarter century after Klass made this rather ri diculous suggestion. In fact, it’s even worse for Klass’ (Phil Klass seen here) theory. According to the public records, in 1964, the land where the UFO landed was owned by the Delia Harris estate and in 1968 it was sold to the Richardson family. The mayor never owned it. Just goes to show us that skeptics will grab onto anything to explain a case even if they have no facts to back it up. (Yes, I know the skeptics are out there saying... and the UFO nuts will latch onto anything to prove their case even if they have no facts to back it up... so we’re both right.) There is, of course, no evidence that Zamora and the mayor were working together on this. Just speculation about it, published as if there was something truthful here with no qualification. Dave Collis was a freshman at New Mexico Tech in 1965, a year after the Socorro UFO incident. Collis went on to become a published scientist helping to lead the Energetic Materials Research and Testing Center at NM Tech. He is considered a world expert in researching blast effects and explosives.Collis explained that he himself enjoyed planning pranks when he was a student at Tech. In 1965, he and his friends had planned a "paranormal" prank and shared the plan with one of his trusted Professors. The Professor (who had been with Tech for years) told him that NM Tech had a long history of pranking- and that one of them was especially noteworthy. Collis then said that the Professor (whose name he does not remember or does not wish to offer) had "confidentially told me that the UFO sighting by the town cop was a hoax done by Techie students." Collis did not want to press the Professor on who did it -or how. Collis says, "he was telling me this in confidence, so I didn't ask for the details and he didn't offer." When asked if the Professor could have been making up the hoax story, Collis replied that in the context of his conversation with him- there was no reason for him to lie. The Professor had told him the truth about the hoax, of that he was sure. Collis, when told about Stirling Colgate's confirmation that it was a hoax said, "Colgate is a brilliant man and he was a great College President. From what I was told by my Professor, it was a hoax. And if Colgate also says it was a hoax, it was." Collis (who is a pyrotechnics expert and often directed NM Tech's July 4 Fireworks) said that it always has surprised him that people didn't seem to realize just how "terrestrial" the reported Zamora UFO seemed to be in the first place. So there it is. We have one name who wasn’t involved, and wasn’t there but heard about from someone else who isn’t named but was there who believed it to be a hoax with no reason to lie. (I could point out here that if he truly believed the story told by the unnamed professor, and that if the unnamed professor truly believed the story of a hoax to be true, then he wasn’t lying. Misinformed... Yes... but lying, no.) We can go back to Colgate who will reaffirm that it was a hoax, but again, it is from others that he heard this and he supplies no names of the perpetrators. We’re still without names and we’re without details on how they pulled this off. Collis had an explanation for the hoax which sounds valid and is presented as if the information is new. Collis also explained that Lonnie Zamora had a reputation for "hounding" the Techie students during that time. The students and the Socorro police did not have a particularly good relationship back then. He said that there was "a lot of friction" at the time between what were felt to be "elitist and educated Techies" versus the "under-educated and simpler town folk." Zamora was always harassing the students for seemingly no reason, and at every opportunity. Many of the college kids just did not like him. What better way to "get back" at Zamora than for them to fool a fool? In that same posting, Bragalia points out that Colgate had written in a letter dated 1968, that the whole thing was a hoax created by the students. The date here is important because in a letter written on September 10, 1964 by Donald Menzel of the Harvard College Observatory and sent to Dr. J. Allen Hynek Menzel wrote, "It certainly sounds to me like a hoax or, perhaps, some sort of hallucination." This is four years before the Colgate response and I suppose we should note that Menzel had not set foot in Socorro, not talked to a single witness and apparently gathered all his information from the newspaper reports. Colgate, on the other hand was right there in Socorro, so Colgate wins on that point. Hynek however, wrote back to Menzel and said, "With respect to the Socorro case, I wish I could substantiate the idea that it was a hoax or a hallucination. Unfortunately, I cannot." Menzel and Hynek exchanged a number of other letters over the next several months and finally, on April 29, 1965 or three years before Colgate communicated his thoughts on the matter, Hynek wrote a six page letter outlining his take on the Socorro landing. He also said that he had discussed the case with Major Hector Quintanilla, the then chief of Project Blue Book and said, "...he and I are in agreement on what follows." Let’s remember one point here. I’m using documents found in the Project Blue Book files and given the timing, meaning the mid-1960s, I don’t think that anyone suspected that all this material would end up in private hands. In other words, they were writing for a very limited audience and didn’t expect the civilian UFO world to ever see these letters. In that respect, I believe them to be very candid. On the second page of his long explanation, Hynek wrote, "The hoax hypothesis is, of course, one that suggests itself immediately. It is Quintanilla’s and my opinion that both Chavez and FBI agent Byrnes must have been in on the hoax if we adopt the hoax hypothesis. They testified that there were no tracks in the immediate neighborhood and so that the hoaxsters must themselves have arrived and left by balloon! Had it been a hoax, certainly some paraphernalia should have been left around if the pranksters beat a hasty retreat." Okay, I’m not overly convinced by that either. How many times have we heard similar statements only to learn that a hoax had been perpetrated. Yes, there should have been some evidence but that there wasn’t doesn’t tell us that it was not a hoax. Only that they found no evidence of it which is not exactly the same thing. The only part that is impressive are the opinions of Sergeant Chavez and FBI agent Byrnes. There were others who drove to the landing site right away and who were later interviewed by Ray Stanford. To make this work, they all had to be in on it and, of course, the FBI wouldn’t engage in a dirty trick... Okay, a cheap shot, but the point is that the FBI had no reason to get involved in a hoax like this. Hynek goes on to write, "Opal Grinder [owner of a gas station on the edge of Socorro] does have a high school student working for him, and I talked with him at length. Teenagers generally hate Zamora’s guts, but it was added that they hate all "fuzz" and that if they wanted to get even with Zamora (seen here) , they would simply beat him up or do something more direct, like letting the air out of his tires or something with immediate results rather than resort to an involved hoax." Hynek finally does suggest the real problem with the hoax idea. He wrote, "If the hoax comes off well, perpetrators like to gloat abit (sic), and there would have been no point in getting even with Zamora if they couldn’t have gotten some kudos for it." Or, exposed the hoax after they learned of Zamora’s reaction to the sighting and his sudden world fame. What better way to get even than to point out he was the victim of a hoax and overacted in a very unprofessional manner. Hynek finally wrote, "Both Quintanilla and I find it impossible to dismiss it as a hoax unless we have some evidence that there was a hoax." Note here, they were looking for evidence of a hoax within days of the sighting and that they found none. Even those who came at this from the skeptical side of the house have rejected the student hoax idea. In an article for Skeptical Inquirer, and later posted to New Mexicans for Science and Reason, David E. Thomas wrote, "Yet another hypothesis is that physics students with a little too much extra time played a trick on the town, but that rumor doesn't have much credible support." This does two things for us here. It points out that this hoax idea has been floating around for years because the Skeptical Inquirer article is from the July 2001 issue and the Internet posting is from May 2006. And, it suggests that the idea doesn’t have much support. Maybe the hoax was the students taking credit for the landing but had nothing to do with it. The El Defensor and Chieftain [sic] of Tuesday 28 Apr 64 carried an article indicating that an unidentified tourist traveling North on US 85 saw the UFO just before it landed. He also observed the police car heading up the hill toward the spot where the UFO landed. If this is true, the UFO not only disappeared in the direction of White Sand’s but also same from that direction. On Wednesday, April 29, 1964 the Dubuque, Iowa Telegraph-Herald carried an article headlined, "Two Dubuquers Spot Flying Saucer. In this article, the men, identified as Paul Kies, 24 and Larry Kratzer, 26, said they were driving along Highway 60 a mile east of Socorro when they saw something "shining." The article noted that a sergeant with the New Mexico State Police said that he saw the object on the ground in the desert. I believe they mean Zamora in this case because the report continued, "He [the sergeant though Zamora wasn’t a sergeant] described it as ‘egg-shaped, about the size of a car.’ He said he saw two ‘creatures’ in white near the craft..."
Now, if this is true, then the hoax scenario fails because Kies and Kratzer were not in a position to see the object on the ground and therefore not in a position to see anything if the sighting is a hoax. What makes this more interesting than most of these most recent postings is that two men are named. Other UFO researchers spoke to both these men, but some fourteen years after the fact. Researcher Ralph DeGraw said that their stories deviated from that told by Zamora and then from that told by each other. In other words, it seems that their report might not mean much, but in a case where we’re dealing with second and third-hand testimony, it would seem that testimony from named sources who claimed to have been there would be of more value than the vague statements attributed to unidentified others. In fact, if the unidentified tourist is real, then there are three other witnesses who saw the craft in the air or close to the ground before Zamora found the landed object. These other people, while they certainly could have been fooled by a hoax, were simply not in a position to see anything if it was a hoax. But I’m not arguing for the validity of any of this testimony. I’m only pointing out that it is there and is the same value as that we have from Colgate. We have faculty in Socorro saying hoax, we have Air Force investigators and consultants saying no hoax, and we have other witnesses, two of whom are named, who might have seen something in the sky. Since the story appeared, Tony Bragalia and I have engaged in a very cordial email exchange about the case. He’s convinced that Colgate is telling the truth and that Colgate knows the truth. I pointed out that Hynek’s investigation in Socorro was well publicized and that I found it interesting that Colgate, if he knew it was a hoax, had not suggested this to Hynek, which clearly, he had not. Colgate said that the perpetrator's did not want their cover blown. Perhaps Hynek did not get to the right people. More likely the right people simply did not want to talk. As Klass said, the NM scientists were strangely silent about the whole matter, why? Well, they didn't want to involve the school, or implicate any of the students, that is why. And the students themselves were certainly not going to implicate themselves! Which, I suppose makes some sense, but the real problem here is that Hynek’s investigation was official and taxpayer money was being spent in his attempt to find a solution. As I have said, and as Hynek wrote, they were looking for any solution and even a hint of a hoax would have been enough to push this from the unidentified category. Perhaps Colgate did not learn the truth about the hoax until after the USAF investigation. I think that this is likely. Maybe he learned of the details only some years later and saw no reason to bring up the whole thing again. Perhaps sometime after the event – in the mid or late 60s – someone told him the whole story. By 1970 Colgate had returned to Los Alamos. It could even be that he learned the full story many, many years later when he and his student friend were by then old me. But the point is... he says that it was the hoax with the certainty of a scientist. And while that might be the truth, we don’t know that it is. We only know that Colgate said that it was a hoax and Bragalia’s belief that it is the truth. I still have trouble accepting the fact that Colgate, as the ranking member of the faculty could have learned this vital information and not communicated it to Hynek but only sent it off to Linus Pauling some four years later. Where does that leave us? Right where we started. The new information isn’t all that new. All that has happened is that Bragalia found a letter to a Nobel Laureate, Linus Pauling, but, of course, Pauling is only the recipient of the letter so his name here means nothing. It is Colgate, who is a reputable scientist, who says that the case is a hoax, but we don’t know what he really knows for certain. He talked of pranks and unidentified students, and even that he knows who the pranksters are but we have nothing solid. If Colgate comes through with the details of the hoax, if those who created the hoax come forward and admit it was a hoax, then we have some powerful information and some extremely important evidence. But right now we have nothing new, other than a letter written some four years after the fact suggesting a theory that was purposed at the time the sighting was reported. In other words, we have nothing new.